If you’ve been camping for a while, chances are you’re well aware of the constant supply of high tech gadgets you “absolutely need” for your RV — or at least, that’s what their producers would have you think. But which of those fancy RV add-ons are actually helpful? And which are just a plain old waste of money? If you have an RV of your own, you know this for a fact: although it’s not the most expensive travel style in the world, your RV camping budget can really add up quickly. Between paying for gas, food, and campsite accommodations (psst: you are scoring 50% off with a Passport America membership, right? ), those travel totals can get pretty hefty before you know it. And that’s not even counting the cost of the rig itself or the insurance you pay on it. So while having all the newest RV gadgets can be tempting, chances are you want to save as much money as you can for the really important stuff — like actually getting where you’re going. On the other hand, certain cool RV accessories are actually really helpful and can make your camping trip a whole lot less stressful. Do You Really Need those Cool RV Gadgets? It’s a delicate line to walk: you want to keep up to date and take advantage of the latest gadgets that are actually helpful, but you don’t want to blow all your hard-earned travel money on cool gadgets to the detriment of funding your actual travel budget. And while some of these trinkets and “must-have” inventions are scams, others are actually crazy helpful. I mean, the whole history of RVing is full of innovations that have propelled the lifestyle forward. Imagine what RV camping was like before we invented awnings and automatic steps, or RV satellite antennae! We want to help you keep as much of your money in your pocket while still enjoying the fruits of the RV industry’s technological labor. 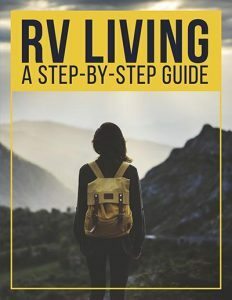 So we wrote this post going into depth on some of the most commonly desired RV camping gadgets — and telling you whether or not, in our opinions, they’re actually worth installing into your RV. Ready to dive in? Here are some “must-have” RV accessories you might want to spend your money on… but you also might not. As far as RV-specific tech gadgets go, this one probably tops any list you’ll run across. 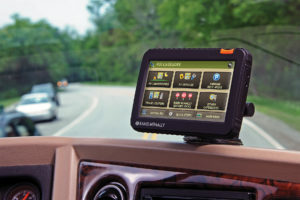 We’re all already so used to using GPS systems in our day-to-day travels that it only makes sense to install one in your RV as well as your personal vehicle — and since they have RV-specific ones, why not make the upgrade? Here’s the thing: there are plenty of low-cost ways to get where you’re going. Most of us have a fully-functional GPS system pre-installed in our cell phones, whether it’s Google Maps or Waze. 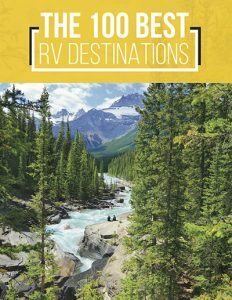 But an RV GPS does offer additional functionality that you might find helpful, not only finding the fastest route, for instance, but also the one that’s least likely to inspire panic, avoiding narrow roads, low clearances, and other RV-specific concerns. 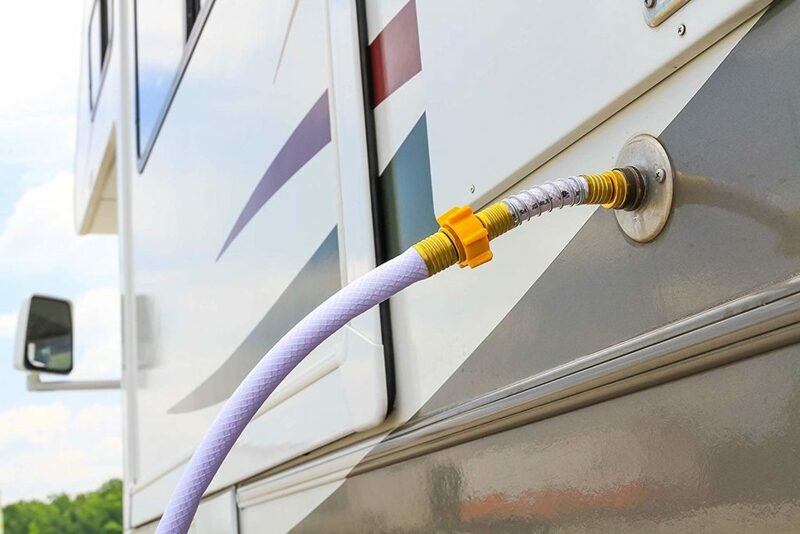 Depending on the specific system you choose, your RV GPS might also offer campsite recommendations and list filling stations with high-clearance pumps and propane available. In short, it can make your life a whole lot easier… and these days, they’re not even that expensive. 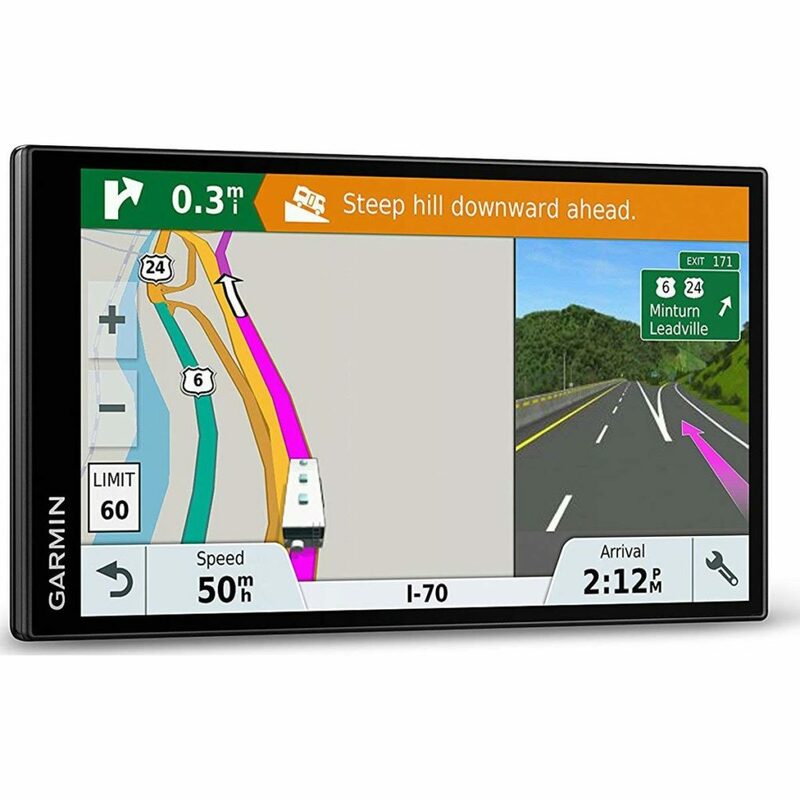 For instance, this highly-rated Garmin RV GPS is less than $400 on Amazon! While security systems aren’t exactly new gadgets in the long run, technology has unlocked all sorts of fascinating ways to make them easier to install and more mobile — which are applicable to RVs, as well. For example, systems and apps like Alfred allow you to use your cell phone as either a security camera or a remote security camera viewer, without having to go through the lengthy and expensive process of installing a traditional home security system. There are also remote RV lock systems and keyless handles which can make entering and exiting your rig not only easier for you, but more difficult for unwanted visitors. But are these measures worth taking when it comes to safeguarding your RV and the valuables you keep inside? Well, the answer to this question is really up to you — and your travel lifestyle. We strongly advise campers not to bring along their fanciest belongings, like jewelry and high-tech gadgets, but let’s face it: pretty much nobody goes anywhere without their laptop anymore. If you have gear on board you’d really prefer not to get stolen, these types of security measures can help ensure that happens, or at the very least can give you a little bit more peace of mind. Plus, since technology has made them so much more affordable and accessible, it’s not like you have to spend an outrageous amount of money to buy into good security. You can have a highly functional system up and running for well under $500 — and sometimes even less than $100. Of course, another option is to simply hide your valuables well, lock the door, and choose campsites in safe areas… none of which are foolproof or guaranteed, but all of which are totally free. The choice is yours — but if you are interested in RV security systems, check out this post on RVshare where we go into depth on the topic. Something strange has started happening in living rooms and kitchens across the nation over the past few years. We’ve started talking to our computers — whether it’s asking Google to set a timer for our tea to steep or ordering our next batch of paper towels through Alexa. 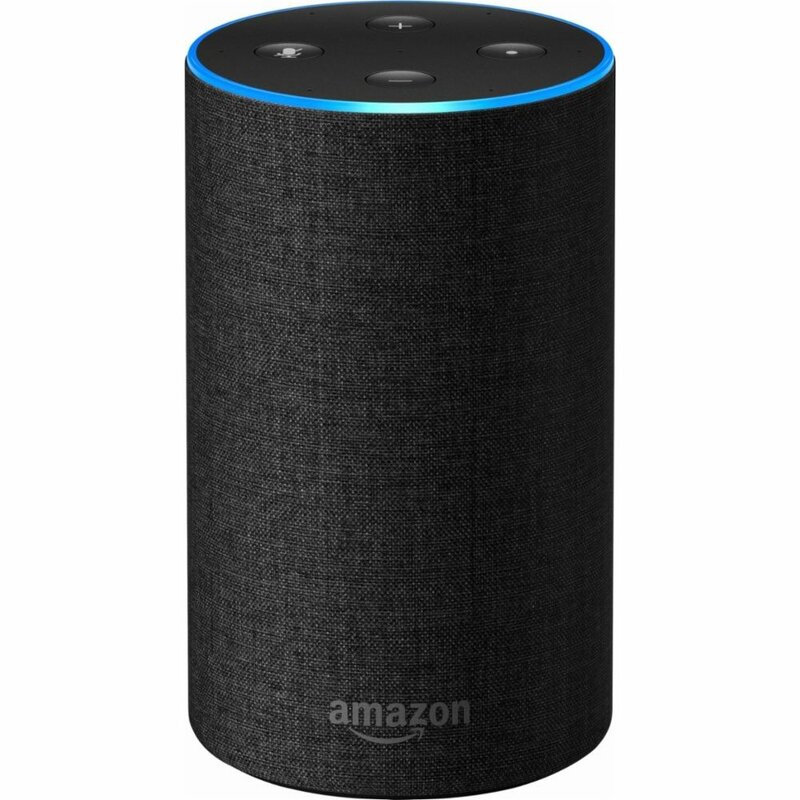 And Amazon Echo in particular is especially helpful for RVers, who often find themselves without some necessary item or accessory and not entirely sure where in town to head to find it. When you’re constantly on the move, having instant access to a digital storefront can be more than a convenience — it can be a lifesaver! Of course, again, mobile technology means you may very well have these capabilities built into your smartphone (we’re talking about you, Siri! ), which would render spending extra money on it entirely moot. Imagine this common RVing scenario: you’re trying to back into a tight camping spot, and your spouse is outside of the rig to direct you. But in his attempts to find the easiest way to squeeze yourself into the slot, he disappears behind the rig — and suddenly, you’re at a standstill. You can’t see or hear him, so there’s no way you can keep edging your way in, and besides, you don’t want to accidentally hurt him! That’s why walkie-talkies are commonly found on RV accessory lists, even though it seems like modern technologies like cell phones render them totally pointless. It’s a lot easier to press down on a button and speak into a walkie-talkie than to keep a phone pressed to your ear while you’re trying to pull off a difficult driving maneuver… or when you’re walking around trying to guide a driver. 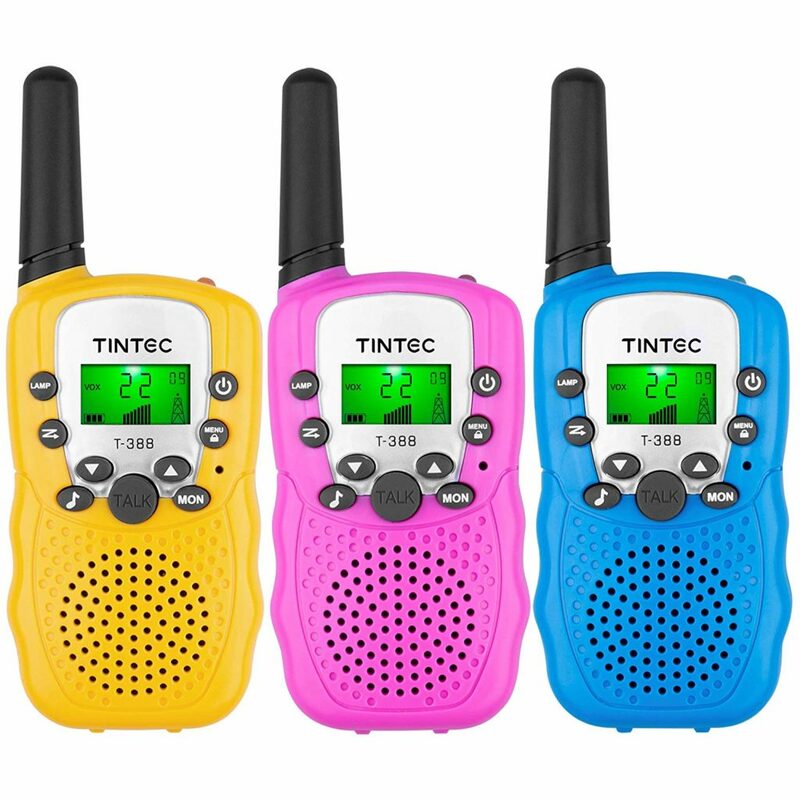 Walkie-talkies can also come in handy around the campground, or if you find yourself following one another in separate vehicles. Plus, you can get a set for less than $30, and they’re high-indestructible… unlike that expensive cell phone of yours. Love it or hate it, it’s the way it is: we’re all pretty much constantly connected to our devices. Even though we take camping trips in part to get away from all that, chances are you’re going to need an internet connection at least occasionally. If you spend a lot of time in developed campgrounds, chances are good you’ve seen how frequently those spots advertise free Wifi as part of their accommodation package. And chances are also good you’ve experienced the frustration of logging onto their “high-speed connection” only to have it instantly drop out on you, just as you were about to do something important (or see the end of that streaming TV show). Although internet technology has come a long, long way since its first inception, providing high-speed internet to an entire campground is a logistical nightmare. There’s just too much space, too many people, and too many devices to keep up with everybody’s needs affordably. 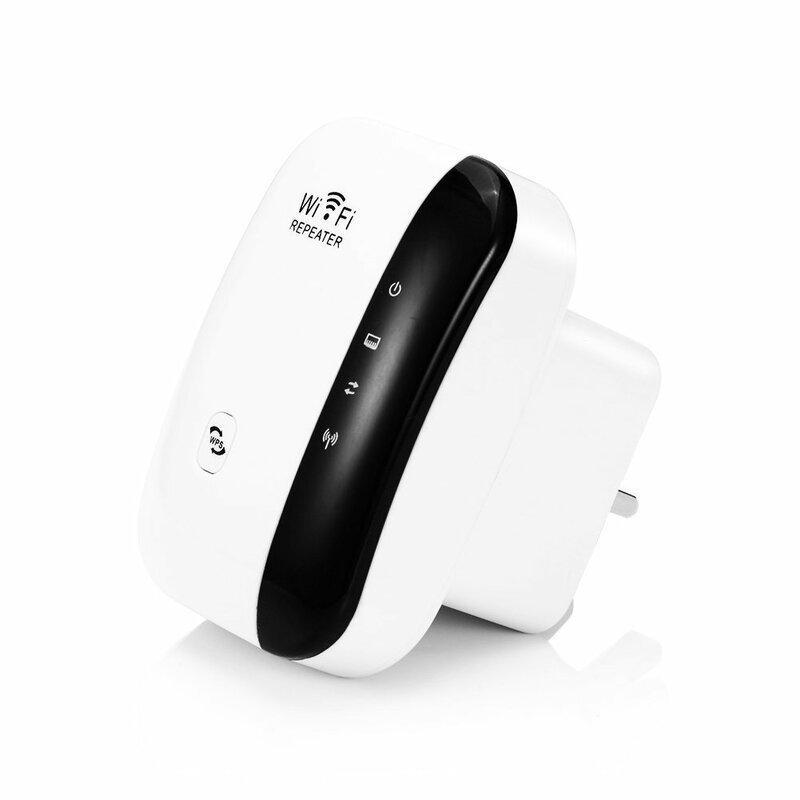 So if staying connected is important to you, you might consider investing in a Wifi repeater — a gadget that amplifies the amount of signal your laptop or cell phone can get. Of course, this is only a good investment if you’re staying in campgrounds that offer Wifi, and you can still experience connectivity issues even with one installed. Maybe you’re a full-timer trying to make a living by working remotely on the road, or maybe you’re just really not willing to sacrifice your favorite streaming movies. Either way, we totally get it: staying connected is a priority for you. 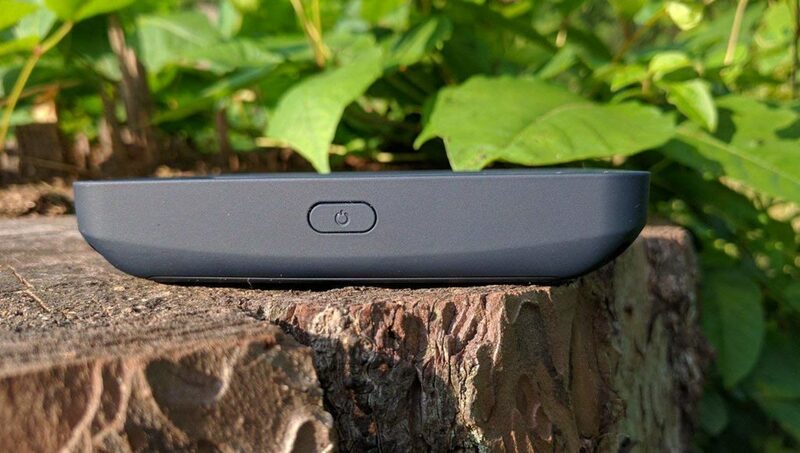 And if that’s the case, the most reliable option is a mobile internet hotspot. By the way, depending on your particular cell phone and provider, you may also be able to use that device as a hotspot without having to purchase a separate gadget and plan. Either way, though, it’s a good idea to keep tabs on how much you’re using it so you don’t end up facing an unexpected monster cell phone bill at the end of the month. 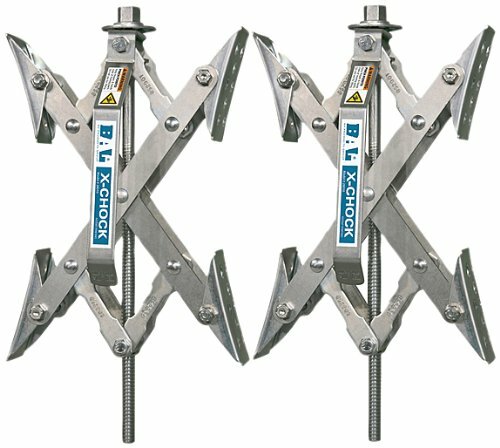 Here are a few more popular camper gadgets to consider adding to — or subtracting from — your packing list. If you’ve got someone under the age of 18 coming with you on your RV journey — or even, you know, a husband — chances are, that someone’s gunning for you to bring along some video game systems. Playstations, Xboxes, and all the other latest and greatest toys can turn your RV’s existing entertainment system from home theater into home arcade, and can make rainy days or too-pooped-to-go-out nights a whole lot more enjoyable. But they can also take away from the reason you set out camping in the first place: to get away from spending so much darn time staring at a screen. 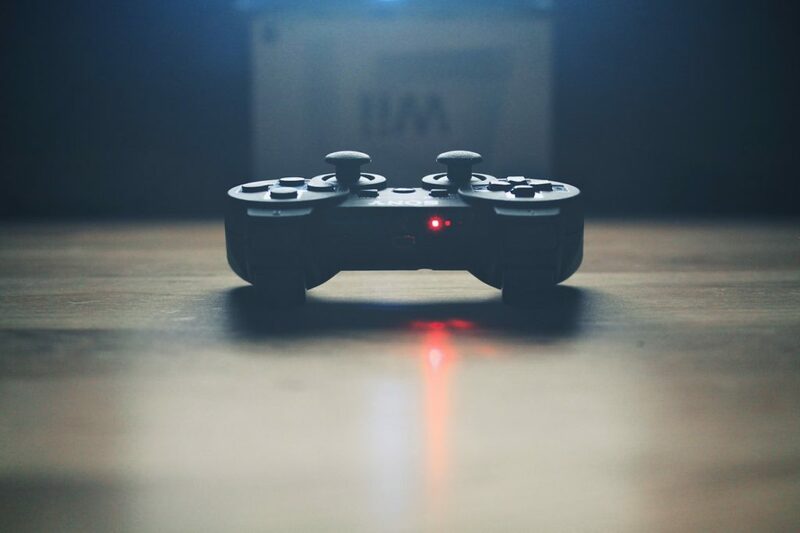 Although balanced video gaming is possible, it isn’t always the most common approach to the hobby, especially for tuned-out teenagers who might not want to spend so much quality time with mom and dad. Plus, video game systems are expensive — and part of the way the business works is by precluding you from playing certain games if you don’t own certain systems. That way, you’ll need to purchase not just one system, or even two, but all of them if you want access to all the latest and greatest releases. Our suggestion? 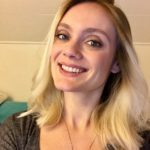 Assess your own family’s digital habits before deciding if you want to add video game systems to your RV. As much as they can be distracting and keep you from getting outside and exploring, they can also be a fun way to bond as a family. It’s really just about how you and yours handle alternative realities! Alright, if there’s one item on this list we’re totally behind, it’s this one. Solar power generators are one of the best RV gadgets out there… although they’re not exactly gadgets, but more like a whole system thereof. Let’s start with why we’re so strongly in support of solar systems in the first place. For one thing, it’s a green way to generate power — and we want to keep the earth nice and shiny for future generations to explore just like we are. 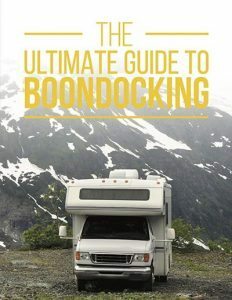 Most of the people who regularly use a generator for power (as opposed to hooking up to a shore connection) are the ones who want to get way off the grid and go boondocking — i.e., the people who really understand the significance of keeping our planet healthy. So it’s hard to turn down a way to create electricity that treads more lightly on the soil! But even if you’re not an eco-freak, switching from your propane generator is an attractive option. Case in point: have you ever heard — or smelled — one of those machines work? As wonderful as it is to have air conditioning in the woods, listening to your propane generator chug away is no one’s idea of a melody, and the fumes are not just smelly, but toxic. No bueno. 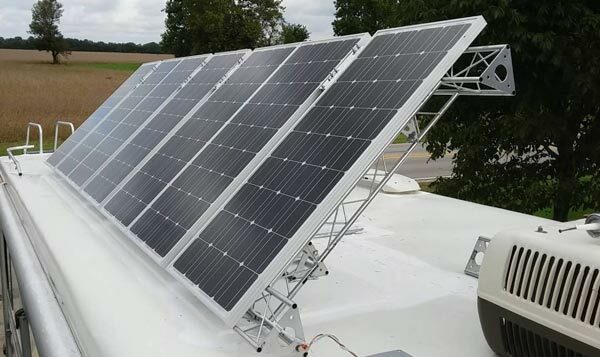 Of course, upgrading your rig to a solar power system means way more than strapping some solar panels to the roof and calling it a day. 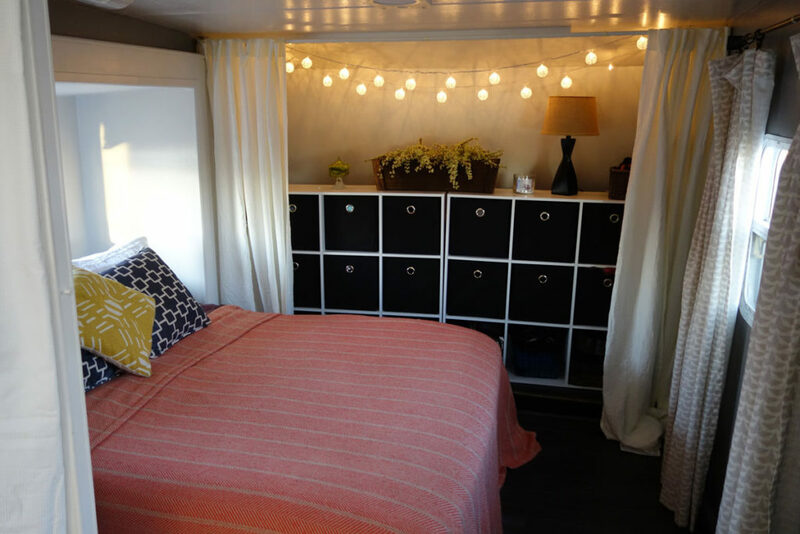 You need to hook up a converter and may also want to upgrade to lithium batteries — but we’ve covered all that and more in this RVshare post, if you’re serious about getting sunny! Having an awning to sit under on the patio (0r just to keep the sun out of your RV’s many windows)? Awesome. Having to crank that awning out and adjust it by hand every single time you set up camp? Less awesome. Significantly so. Luckily, electric RV awnings have come along to put the days of hand-cranking firmly behind you. Of course, they’re not cheap: depending on your dealer and installation package, you might easily pay $1,000 for this convenience. 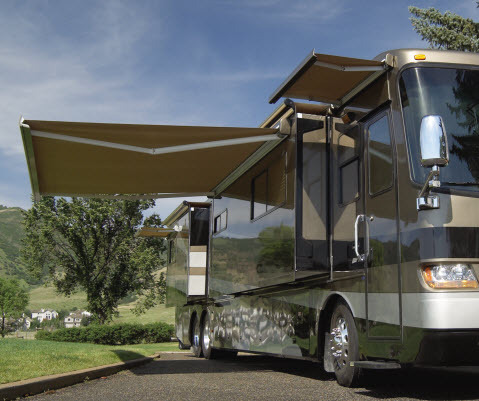 So, are motorized RV awnings worth it? It really depends on how much of an RV upgrade budget you have (and how much you hate using traditional awnings). Some of the newest-fangled RVs come with them pre-installed, so if you’re in the market for your next rig, consider adding this to your list of dream RV features! The kitchen is the heart of any home, and an RV is no different — so it’s no surprise that one of the biggest categories of potential RV accessories is kitchen gadgets. Here are a couple of the most common, along with our verdict. So why are we such devoted Instant Pot fans, you ask? 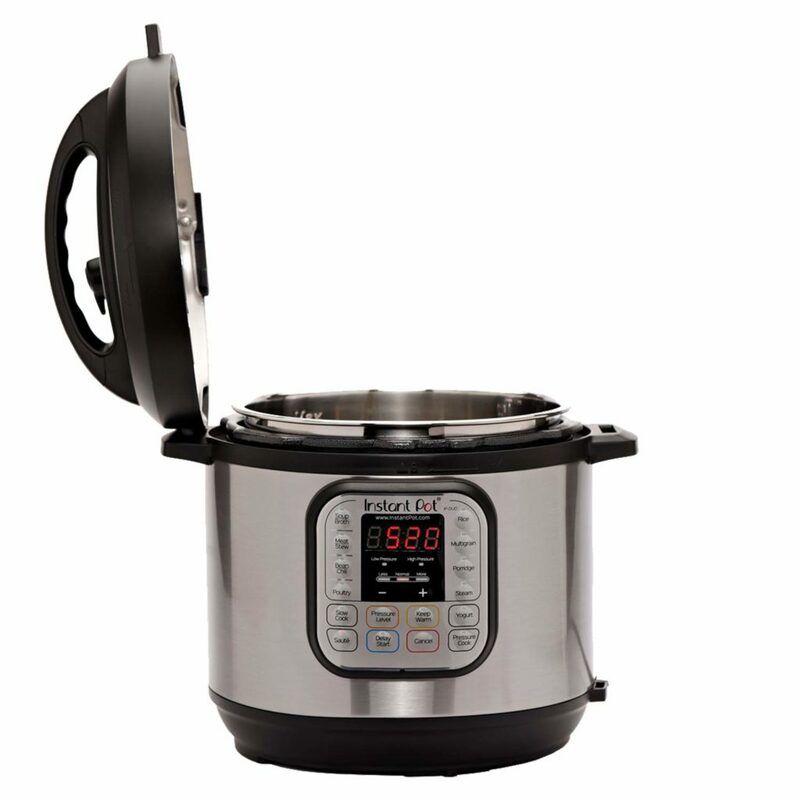 You can get an Instant Pot for less than $100 on Amazon or at your local home goods store, and use it to slow-cook, sautee, and generally become a kitchen wizard. You can even use it to make perfectly-fluffy rice and fresh, from-scratch yogurt. It’s a great way to whip up your favorite gourmet recipes on the road, which will save you money and help keep you healthy. What goes together better than camping and grilling? Not too much, in our opinion. That’s why many campers include a portable grill in their list of can’t-leave-without items. Folding propane grills and small, tabletop charcoal numbers make it possible to create delicious, fire-roasted delicacies no matter where you are. But even the smallest ones do take up a not-insignificant amount of storage space, and the vast majority of campgrounds already have grills pre-built and available for your use. Our suggestion: if you’re a frequent boondocker, a portable grill might be worth it… but it might also be just as much fun to invest in a campfire grill grate, so you can really cook over a fire old-school. 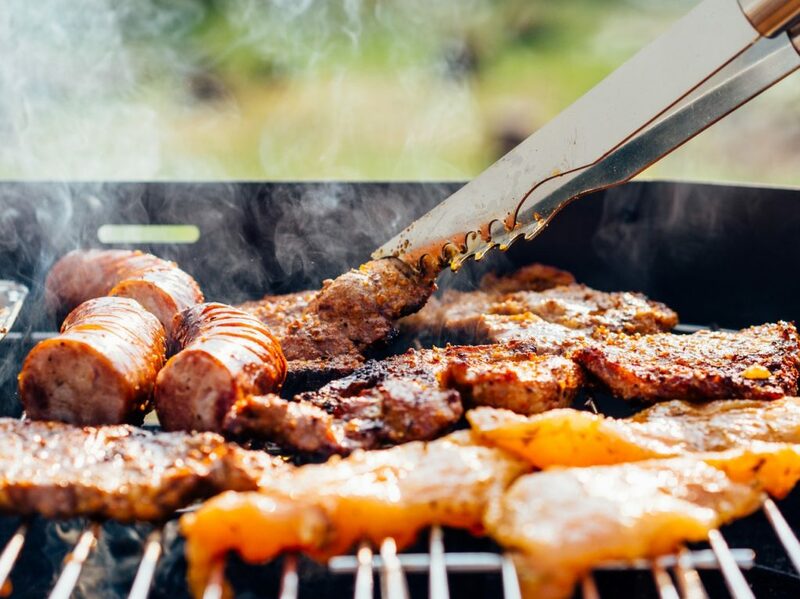 If most of your camping adventures take place in developed campgrounds, however, you probably don’t have to worry about putting a grill on your shopping list. Here are a few more cool RV and travel trailer gadgets we do totally stand behind. If you adventure in a travel trailer, chances are you know the unfun predicament of walking around inside and feeling things shake, rattle and roll. Not only is an unstabilized travel trailer a little nauseating, it can also wreak havoc on sensitive appliances — for instance, RV refrigerators are famous for not working properly when they’re not exactly level. There’s nothing as delicious as a great shower after a long day of hiking or urban adventuring. 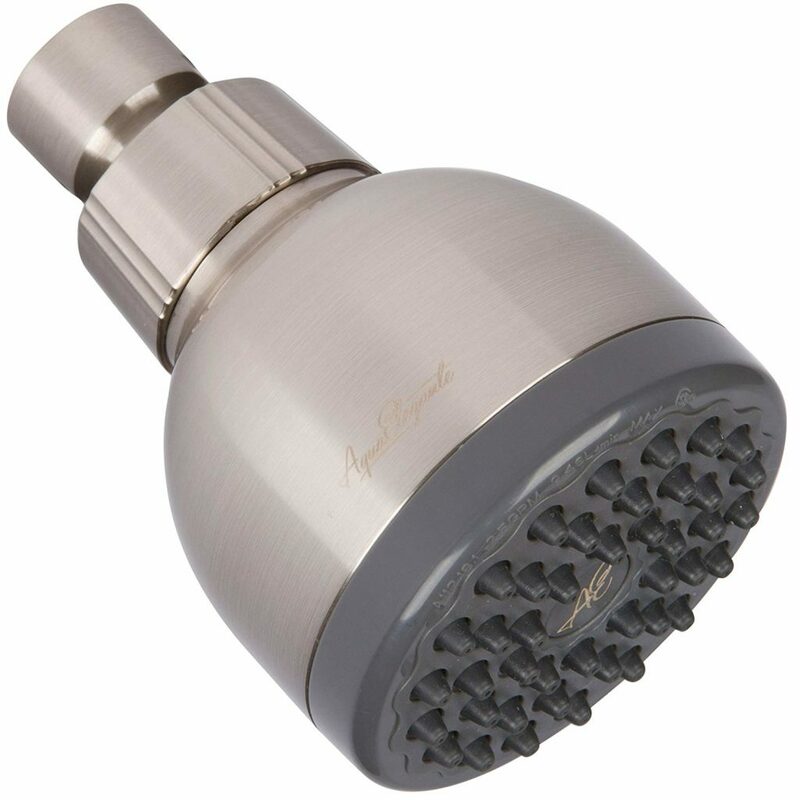 But if you’re like most RVers, your onboard shower leaves something to be desired in the pressure department. If there’s one thing that’s even more important than a great shower after a long day out in the world, it’s a great night’s sleep. But many RVs come with mattresses that could be described as… iffy, at best. A cheap mattress pad can make all the difference when it comes to your beauty rest, so it’s a worthy investment. Hint: since RV mattresses come in non-standard sizes, we encourage you to find one you won’t mind cutting to fit, or looking for one specifically made for RVs, like this short queen version. Yes, this one’s a twofer — you caught us! But your drinking water is literally keeping you alive, so you want it to be fresh and delicious… and you also want to keep that system working as long as possible. Trust me, shelling out money for an RV plumber is not something you want to do. Investing in a hose made specifically for drinking water will keep a plain-old rubber hose from imparting any icky tastes or smells into your fresh water supply… not to mention the chemicals and goodness-knows-what that causes all that funk in the first place. Drinking water hoses are pure white in color, so it’s easy to identify them at the camping store. But you can also find them online for under $10. Not a bad deal for keeping your family safe and healthy! While you’re upgrading your freshwater system, another item to grab: a water pressure regulator, which will help keep an overly-enthusiastic hookup from damaging your sensitive plumbing system. Most campgrounds have their water hookups set up so they’re compatible with RVs, but things go wrong and you never know… and like we said about paying for RV plumbing work, well, better safe than sorry. Especially when “safe” will only run you about $30. We hope this post has helped you find some of your new favorite RV gadgets… and avoid a few extra purchases you might have made. That way, you can spend the money on the part that really matters: getting out there!